Find out how to get involved, whether you’re a service provider, parent or child. If you’re already working with us, access relevant resources and find out what’s coming up. 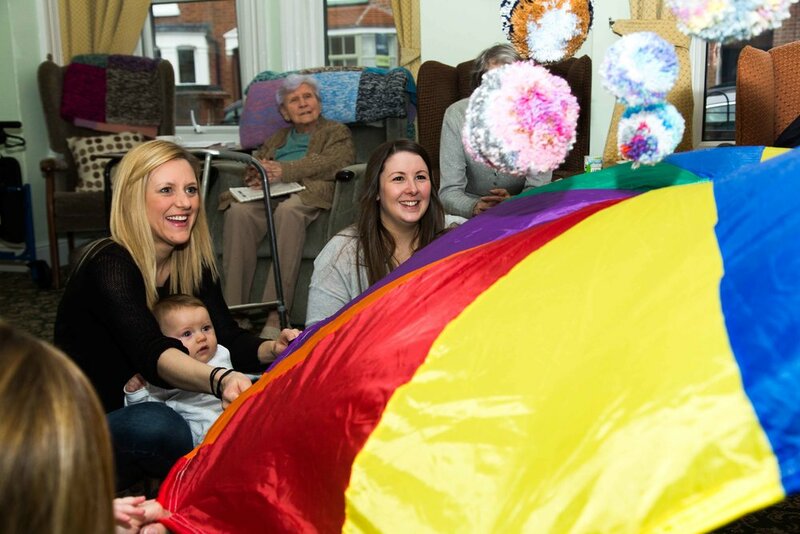 We are always looking for more children and babies to get involved with our intergenerational visits. To get involved fill in this form. We collaborate with care homes, dementia cafés, day centres, sheltered housing, schools and more. We would love to work with you. Please email hello@friendindeed.org.uk to find out more. Read the handbook here to find out helpful information and guidance on visiting care homes with your children. We ask that all parents read this before attending a care home visit. Find out what topics are coming up to help prepare for your visits.